Welcome to the Régnier-Vigouroux’s group Webpage ! 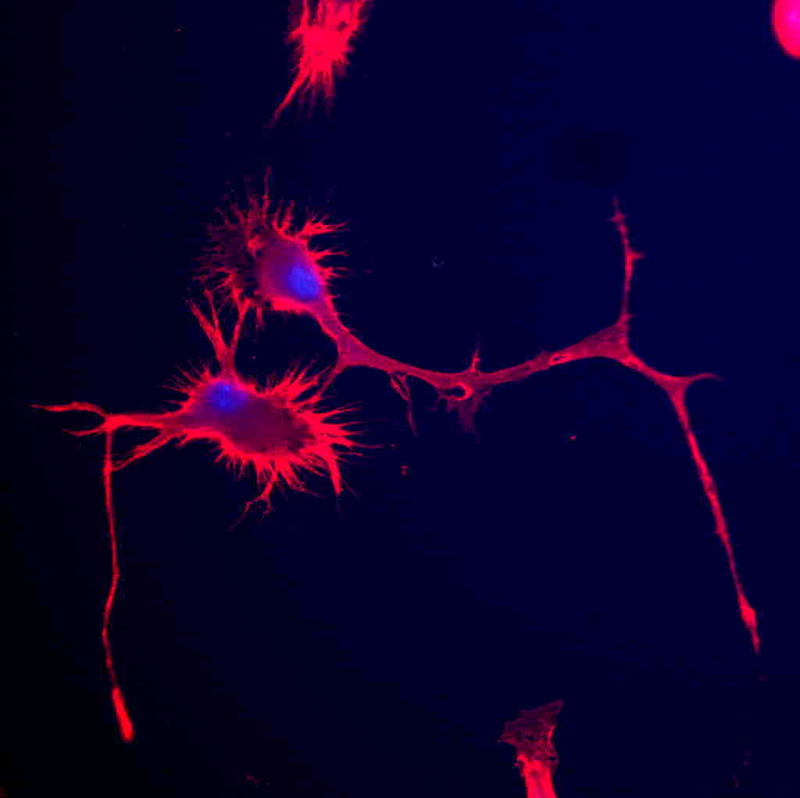 The actual role of microglia, the brain resident macrophages, and that of macrophages in glioma biology remains largely unknown and controversial. In vitro and in vivo observations strongly suggest that these phagocytes are endowed with tumour-promoting as well as with tumour-destructive capacities. In vivo, the ability of glioma to grow despite of the presence of numerous infiltrating microglia/macrophages indicates an efficient “silencing” of these cells and goes in line with the known immunosuppressive capacity of glioma. A better understanding of the interactions taking place between tumour cells, microglia and macrophages would definitely help in designing more efficient strategies that would be appropriate to the unique environment displayed by the brain. That is our aim for the following years !